George Z Kyzas obtained his BSc, MSc and PhD degrees at Aristotle University of Thessaloniki (Greece). His current interests include the synthesis of various adsorbent materials for the treatment of wastewaters (dyes, heavy metals, pharmaceuticals, phenols, etc). He has published significant scientific papers, books (as Author and/or Editor), chapters in books, teaching notes and reports. He also acted as Guest Editor in Special issues of journals and presented many works in international conferences. He has been awarded with honors, grants and fellowships for his research career/profile by (i) Research Committee of Aristotle University of Thessaloniki (2009, 2013), (ii) National State Scholarships Foundation of Greece (2013) and (iii) Stavros Niarchos Foundation (2016). Activated carbons are considered to be the most successful adsorbent materials due to their high adsorption capacity for the majority of pollutants (dyes, heavy metals, pharmaceuticals, phenols, etc). They possess large surface area, and different surface functional groups, which include carboxyl, carbonyl, phenol, quinone, lactone and other groups bound to the edges of the graphite-like layers. Therefore, they are regarded as good adsorbents both in liquid and gas phases. The most widely used carbonaceous materials for the industrial production of activated carbons are coal, wood and coconut shell. These types of precursors are quite expensive and often imported, in many places; hence making it necessary, particularly for developing countries, to find a cheap and available feedstock for the preparation of activated carbon for use in industry, drinking water purification and wastewater treatment. In order to reduce the synthesis cost of activated carbons, some green final products are recently proposed, using several suitable agricultural by-products (lignocellulosics) - i.e. including olive-waste cakes, cattlemanure compost, bamboo materials, apple pulp, potato peel - as activated carbon precursors. In this work, special attention is given to those activated carbons (synthesis, and adsorption applications) which can be characterized as “green” because their origin are green environmental-friendly sources. The application of the prepared carbons was for mercury removal from aqueous solutions. Grazia Leonzio is a PhD student from L’Aquila University. She published several articles and participated to several international and national congresses about environmental and energy aspect of chemical processes. 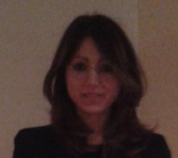 She wrote an article about waste management in Italian regions and published in Columbia University web-side. She participated to M.U.N conferences and she is a member of several associations: A.I.D.I.C. (Italian Association of Chemical Engineering), S.C.I. (Italian Chemical Society), I.S.S.N.A.F. (Italian Scientists and Scholars in North America), E.C.A.S. (European Commission Authentication Service). She is a referee of several journals. The energy crisis and the environmental problems have focused the researchers on absorption heat pumps [1,2]. In this research, a sensitivity analysis is carried out for a double effect absorption heat pump in parallel flow powered by biogas, using ChemCad software. The system uses 350 kg/h of LiBr-H2O working fluid at 56 % w/w to avoid crystallization phenomena. The cycle is involved between the absorber and sub-cooling condenser temperature equal to 277 K and 310 K respectively. In this heat pump with two levels, the condensation heat in the higher-pressure generator is used in a lower pressure generator. The study is developed varying the temperature of the higher-pressure generator. Results show that this parameter has a negative effect on the coefficient of performance (COP). Lower pressure in the higher-pressure generator could increase the COP, but determines lower pressure in the lower-pressure generator and in the condenser. In this condition, the heat pump needs of a refrigerant solution with very low temperature in the condenser, making the choice unattainable. For this reason, it is necessary to avoid high value of COP. The temperature of the higher-pressure generator has also a negative effect on the cooling capacity, because the pressure difference between the condenser and evaporator increases, increasing the feeded steam and then reducing the cooling power. The analyzed factor has a positive effect on the heat exchanged in the two generators, because the heat needed to the evaporation increases. The temperature of the higher-pressure generator has a negative effect on the heat exchanged in the condenser, because increasing the condensation temperature the latent heat decreases. The heat transferred to economizers and their efficiency increase with the maximum cycle temperature especially for the low temperature economizer. Future researches should optimize the system considering the efficiency and the costs.